Product prices and availability are accurate as of 2019-03-22 22:17:02 UTC and are subject to change. Any price and availability information displayed on http://www.amazon.com/ at the time of purchase will apply to the purchase of this product. An elegant and traditionally-styled wall-mounted spice rack. 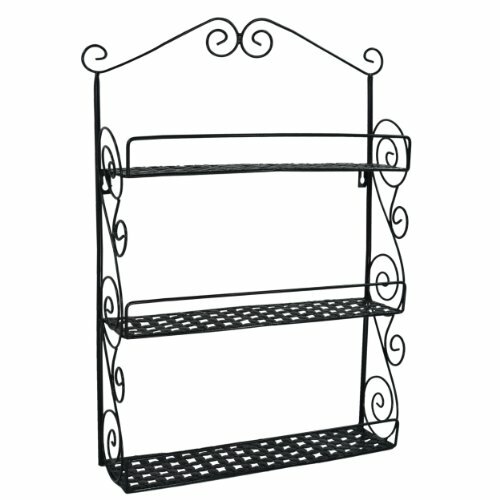 Features 3 shelves, each with a flower-patterned chain-link base and a metal bar across the front to prevent items from falling. 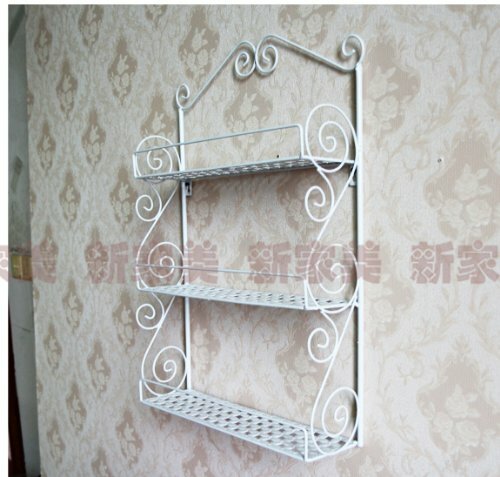 Comes with mounting hardware so you can attach this spice rack to any wall. Metal construction with a black finish. Approximate Dimensions: 16" W X 24" H X 4.5" D.